In British Columbia and across Canada, it is estimated that one in five adults are living with chronic pain – and as people age, that number is expected to grow. For people with chronic pain, effective pain management is crucial for improving their quality of life. As such, Doctors of BC believes that British Columbians living with chronic pain should be able to access timely and appropriate pain management options. To advance this goal, the Council on Health Economics and Policy (CHEP) developed a policy statement titled Improving Chronic Pain Management in BC. Approved by the Board of Directors in June 2017, this policy recommends that the BC Ministry of Health, in collaboration with health authorities and other stakeholders, develop and implement a Provincial Chronic Pain Strategy that supports timely access to quality multidisciplinary chronic pain services in BC. Development of a collaborative, stepped model of care where chronic pain management progresses from low intensity services to increasingly multidisciplinary and intensive treatment options for people with high complexity chronic pain. Improved access to and funding for a continuum of multidisciplinary chronic pain assessment and treatment options in local communities. Support for professional education on evidence-informed best practices in chronic pain management for physicians and other members of the multidisciplinary team. Expansion of research capacity and quality improvement measures, processes, and systems to support enhancement of chronic pain services. 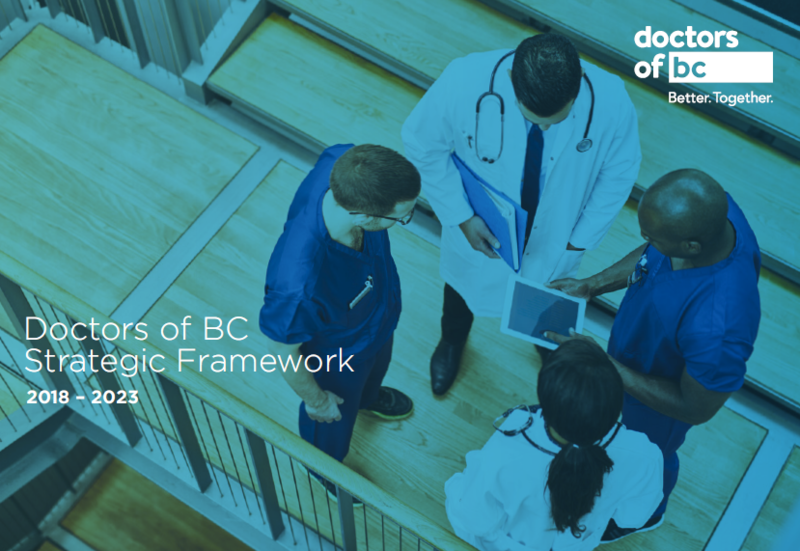 For more information on Doctors of BC’s recommendations and commitments, please see the full policy statement.